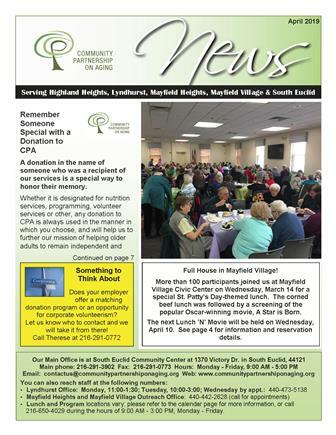 Community Partnership on Aging welcomes sponsorship opportunities from local businesses. While we recognize the benefits of partnering to enhance programs and services, direct marketing is done on a limited basis. Please keep in mind that Community Partnership on Aging does not allow any sponsor to solicit for personal information of any kind from any participant at any program or event. Any raffles will be coordinated by Community Partnership on Aging staff. Click here to view a list of current opportunities. 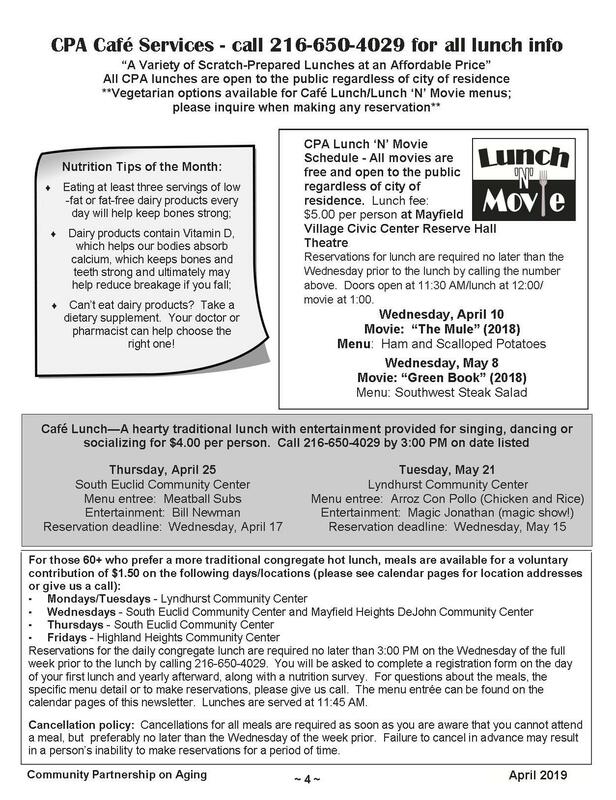 Luncheon/Special Event and Program sponsorships – CPA offers a variety of Luncheon and Special Event/Program sponsor opportunities that take place at the community centers in the CPA service area (fees vary). Sponsorships include a 2-hour window of time with a table or an opportunity to pass out goodie bags or agency collateral. Examples include contracting a fee-based provider to conduct on-site programming at one of the CPA community centers; the monthly Café Lunch; Annual Educational Symposium and more! Keep in mind that CPA reserves the right to select sponsors that are directly in line with a specific topic, event or presentation. 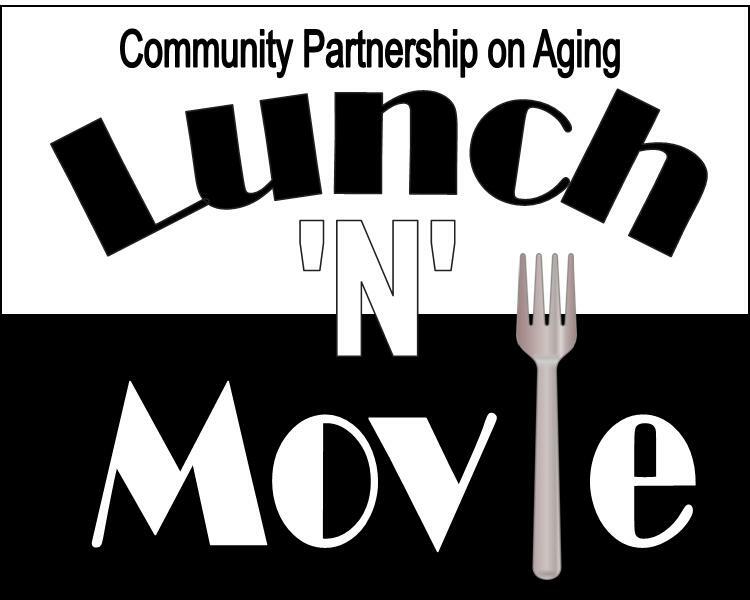 Luncheon and Event sponsorships should be discussed with the CPA Development Coordinator, Therese Grida, at 216-233-0648. Educational presentations –While lecture-style presentations are typically not successful with our clientele, occasionally we may schedule a qualified representative from your business or agency on-site at one of our locations, in combination with another program or agency. These ideas should be discussed with CPA Advanced Program Specialist, Carolyn Kriebel, at 440-473-5138. Volunteer Appreciation Luncheon – Help CPA honor our more than 200 individual and group volunteers at our appreciation luncheon in May! Sponsorship fees and details would be discussed with CPA Development Coordinator, Therese Grida, at 216-233-0648. Major Home Repairs, the Safe at Home Program and CPA volunteer opportunities – These projects are orchestrated via our Volunteer Coordinator, Corinne Dunn. Some of the needed items include: exterior paint and supplies; professional services such as plumbing/electrical/landscaping services (in-kind or sponsorship of) and more. In recognition of sponsorship, your business name may appear in our monthly CPA newsletter. Questions about these opportunities can be directed to Corinne at 216-291-3902, ext. 318. CARE Project – CPA and the communities of Cleveland Heights, Maple Heights and Solon are providing unskilled home maintenance for older adults. Please contact Eric McClellan, CARE Program Coordinator, at 216-848-0594, to discuss possible sponsorship opportunities. Annual Chili Cook-Off sponsorships – The Chili Cook-Off Event and Fundraiser is CPA’s biggest and hottest event of the year. There are several sponsorship opportunities available as well as opportunities for financial and in-kind donations. The Chili Cook-Off is held in November and uses the Fire Department staff from each of our five communities as the chili chefs! A good time is sure to be had by all, while raising money for a good cause. Sponsorships for the Chili Cook-Off should be discussed with the CPA Development Coordinator, Therese Grida. Political and Campaign sponsorships – Unfortunately we are not able to offer campaigning opportunities (including municipal, county, school district issues or levies) on site at any event or program. Should the opportunity for an ‘all-candidate’s open house’ arise, candidates in our five-community service area would be made aware of the event via their respective city. Request to post flyers – Occasionally, businesses and individuals may request to post an outside event flyer on a CPA community center bulletin board. All flyers must be submitted to the Executive Director or Development Coordinator for approval, after which your flyers may be posted or distributed among the CPA locations. Flyers that are posted without permission will be removed. 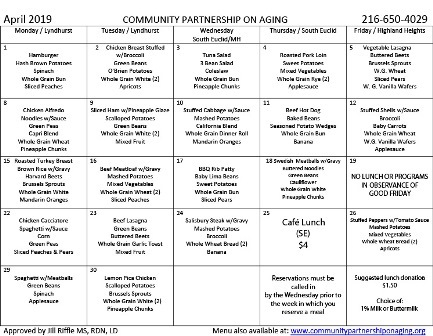 Community Partnership on Aging newsletter (circulation: 3500/month) – Space inside the newsletter is generally limited to in-house, CPA-sponsored events and programs, with the exception of city-sponsored events that are approved by our Executive Director. Should you wish to place an annual ad in our newsletter, please contact LPi at 800-477-4574. CPA also offers limited educational advertorial opportunities in the newsletter; those can be discussed with CPA Development Coordinator, Therese Grida, at 216-233-0648.